What do the rich know, that I do not? I bought this book already in 2006. I try to re-read it every few years just to remind myself of the basics of money, business and personal finance and to give myself a motivation boost. The book is written from the perspective of young boy, the author, who ends up with two dads. The poor dad is his own – a teacher, union activist and employee. 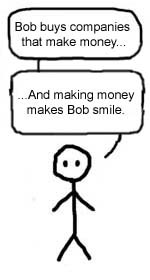 The rich dad is his friend’s dad – an entrepreneur, businessman and employer. The book recalls teachings and learning the boy received from the rich dad about business and personal finance and compares it to the advice he received from his poor dad. Basic business skills are needed everywhere. For example you need sales and marketing to sell and buy things and also to sell your ideas, opinions and yourself to your family, friends and you employer. You also need accounting and sound understanding of personal finance when shopping, buying a house or handing your everyday bills. You need to know basics of the investing in order to make your spare money to grow. This book gave me the kick needed to realize I am not going to learn this in the university. After that I have invested a lot of time and money to go through huge amount of books about business in order to sharpen my skills and understanding of the world of money. Assets bring more money to your pocket, while liabilities take it away. Even so – many have hard time to tell them from each other. For example your car, boat or your own house are all liabilities. They require constant maintenance and make no money. On the other hand stocks, bonds, real estate and other investments are money-producing assets. Make the mistake of investing your excess income to liabilities and you will grow your costs. Gather assets and at some point that is all the income you need. That is also called the Financial Independency. When I first heard this as a student, I could not wrap my brain around the concept. Now, earning regular salary and all, I finally get it. There is a big difference between paying everyone else first and the scenario where you first pay yourself and then arrange everyone else to be paid after that. In the first one you passively leave your financial future to fate. The latter scenario forces you to be pro-active; either cut the costs or earn more money to make it. I have followed this principle for a year or so. Each month after receiving my salary, some of it is automatically directed to my investment and savings accounts. I will then have to do the whole month with whatever is left. This is both incredibly motivating and also surprisingly easy. Even though I really love this book, I should warn that the author is somewhat controversial. Some of the examples in the latter part of the books are quite speculative of the nature, especially the ones about retail business. Reading stories or example’s like this, it is important to keep a cool head and remember that there is no fast track to success. Investing your money to assets like stocks and retail can make you a millionaire, but it will take time. It is often pointed out that the author himself has not succeeded as a in the retail business, but instead earned his fortune by writing books. Also many are shaken by the revelation that the book is fictional and the rich dad never existed. However I believe this should not lead to dismiss otherwise a good book. It is not the Dostoyevsky of the business books, but I feel that it is not meant to be. For me the “Rich Dad Poor Dad” exists to motivate me. It is easy, fast to read and fun. It manages deliver every time I open it – what more could I ask? 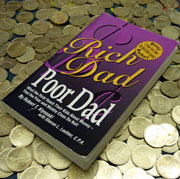 The book “Rich Dad Poor Dad” is available for example from Amazon.com and Amazon.co.uk . Being a Brand – Why, When and How? Personal branding has been a hot topic in the blogosphere for several years. It is nowadays seen as an important part of building wealth, career or success in life overall. There are few recent books written about it in Finnish – this is one of them by Katleena (She also has a great blog, called “Ei oo totta”). 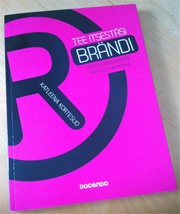 The book is focused on how to communicate personal brand both live and in the Internet. How to brand yourself –How to define the brand, what is needed for it, how should it look like? Building your image – How to build the external signs of an expert, how to communicate your professionalism to others? Good advice needed for working as an expert – How to sell yourself, how to make presentations/speeches/etc, how to get published? There were two points that especially caught my eye over the others. In the beginning of the book about branding yourself: The book makes an interesting and very important point. I could/should have started building my own brand already when I was a student. Katleena emphasizes that it is never too early or too late to start doing personal branding. You don’t need to be a CEO, politician or a best selling author, before you can start building your own brand. You will find suggestions how to start, even if you are just a student with no experience and nothing to show of yet. I really loved this part of the book. It really shows you that hey, better now than never! In the chapter seven about writing your own book: I have been playing with an idea of writing my own book about business. My original idea was to write the book and then to search publishers or publish it myself. According to Katleena, this is a mistake. As it turns out, you should never write a full manuscript for a non-fiction book. Instead you should initially approach the publishers with and idea and few short drafts and take it from there step by step. Katleena offers you a 14-bullet point guide to make this process easier. 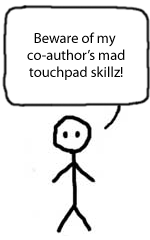 The one thing it left me to wonder – does this advice apply also for people with no previous publishing experience? As I have never written a book before, I could imagine that I would be seen as somewhat of a wild card. While I think the book is certainly worth a re-read, I would have hoped more focus on how to identify and define your own brand. For me, this is the most difficult part of personal branding. I am interested in so many things; it is not easy to pick an area to concentrate on. I am looking forward to read more of Katleena’s books in the future. Her book “Avaa tästä” with advice for consultants seems especially interesting. The book “Tee itsestäsi brändi” is available for example from bookplus.fi. Several bloggers have mentioned this book as something amazing. I bought it over a year ago to find out what all the fuss was about. It ended up piling dust until now. Something else was always more important. This book complements the ever so great “The Tipping Point” book from Malcolm Gladwell. 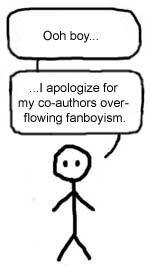 In his book Gladwell talks about “The Stickiness Factor” needed to cause a social epidemic. Chip and Dan Heath go beyond that, trying to identify the traits needed to create a message that “sticks”. To quote the authors, by “stick” they mean that our ideas are understood and remembered and have a lasting impact – they change audience’s opinions or behavior. This is a checklist to go through whenever you are trying to convey an idea to others. It helps to determine how likely it is that it sticks and will have an effect on your audience. If you achieve only few or none of these traits, you should really consider revising your message. The book is fun to read, the message is very powerful and it gives you clear advice on how you could use these findings in your own life. I strongly believe that communication skills and ability to drive your ideas through are one of the main keys to success in life both personally and financially. Personally, I plan to frame the SUCCESs checklist and place it on my desk as a reminder for myself. I can highly recommend the book! 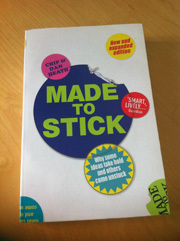 The book “Made to Stick” is available for example from Amazon.com and Amazon.co.uk . Some weeks ago Trent from the great “The Simple Dollar” blog announced that he would discontinue his long lived series of reviewing one personal finance book per week. He has done an awesome job in reviewing hundreds of books through the years – all reviews are available in his blog. He was one of the persons inspiring me to start my own blog about business books and gave me great tips about books to read. Recently he run into a problem that there simply were not enough new books for him to keep up the pace of one review per week. I know the feeling, as if you concentrate on certain niche in books, the themes and solutions offered start repeating themselves after a certain while. This is why I keep the scope in my own blog a bit wider. However as a parting gift, Trent boiled down his long experience reviewing books about personal finance (and career) into a list of “Ten Personal Finance and Career Books You Should Read”. These are books that really struck a chord and made him think. What Can the Best Consultants in the World Teach You? Recently I started in my last position in my company’s graduate program. I was positioned to work in one of our business development departments at the HQ, also known as our “in-house consulting agency”. Most of my colleagues are ex-consultants e.g. from McKinsey and Booz&Co. “The McKinsey Way” caught my eye during the autumn. With my new assignment at work, dibbing into the wisdom of the world’s top foremost consultants seemed like a great idea. 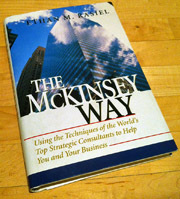 ”The McKinsey Way” is a book based on the experiences and the learning’s of the old McKinsey consultants. The book tries to boil those learnings down to easily digestible “bullet points” – brief analysis of how to use them to solve your own business problems. To me it seems the book gives a pretty good overall view of the world of consultants and the methods they hold dear. I keep seeing this advice at use every day at my work. While you get a good picture of the life of consultants, that is as far as the book goes. I was very disappointed to see that most of the advice on the book was based on just a common sense of working efficiently and well structured. When the book had something more to offer, it did not dig deeper in to the subject. “The McKinsey Way” is written clearly and it is easy to read, but it never really offered any “oh, I see!” moments to me. If you want to learn more about consulting (and maybe even consider to work in that field), I am sure you would benefit from reading this book. Otherwise I would look for something else. The book “The McKinsey Way” is available for example from Amazon.com and Amazon.co.uk . I usually buy books after I have done some research on them. This little book caught my eye in the bookstore as I was looking for a book for a reference about financial statements. Without thinking, I just decided to buy it. The authors walk you through these line by line and analyze their importance for the durable competitive advantage. I have the feeling that I got pretty good idea what to look for when I am reading through the financial statements. It is important to note that using the advice in this book will just help you to indentify if a company might have a durable competitive advantage. I would suggest to combine it with other methods of analysis to increase the chances of being right. The only real complaint I have is that somehow I feel that this book could have worked even better A4 or A3 checklist. Maybe that would have been hard to sell with the 10 € price tag though. Even though the book is titled ”Warren Buffet and the Interpretation of Financial Statements” his role is to be just an example. It is one way of doing these kind of books and not necessarily a bad one. I just have to say that the way the authors keep talking about ”Warren this and that” in third person is pretty damn annoying. As a final statement I would say that the book is mainly for those people who are interested in Warren Buffet and/or his investment style and have already read some books about these. For other people looking for more generic advice about interpretation of financial statements or investing, I would suggest looking further. 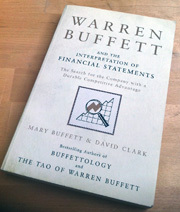 The book “Warren Buffett and the Interpretation of Financial Statements” is available for example from Amazon.com and Amazon.co.uk . If you buy the book trough the links in this article, bookstore pays small commission for the owner of this blog. This doesn’t cost you anything, but it supports the blog. 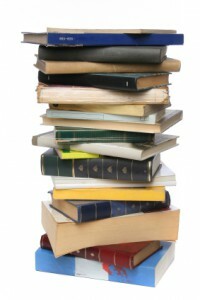 I have been often asked how do I pick the books I read. One of my main sources are the blogs I follow and the recommendations made by the authors (or sometimes their commentators). Mostly though the book recommendations tend to disappear in the midst of all the other posts. They are hard to find afterwards. Luckily (or sadly) most of us bloggers tend to love making lists. I noticed few days ago that J.D.Roth from Get Rich Slowly published an awesome list called “The Best Books About Money”. There he lists his favorite books in different categories like investing, debt, personal finance and so on. He has also done a review of most of them, which makes this list much more useful and trustworthy than the average lists of “10-best-books-I-have-not-read-but-will-suggest-to-you-anyway”. I have read Burton Malkiel’s classic ”A Random Walk Down Wall Street” before. Therefore I had high expectations for this book as well. I believe I should start with a warning. ”The Elements of Investing” is indeed good, but for very different reasons. Where ”A Random Walk Down Wall Street” is long, detailed and somewhat advanced, ”The Elements of Investing” is short, precise and clearly aimed for beginners in investing. The book is divided into five chapters. They talk about saving, indexes, diversifying, avoiding blunders and about keeping it simple. The saving is the backbone of your financial success. If you have nothing saved, you have nothing to invest. In this chapter the authors stress the importance of a sustainable lifestyle. In short, keep your costs lower than your earnings and you automatically accumulate money. Both Burton Malkiel and Charles Ellis are strong supporters of the efficient market hypothesis. Therefore the book focuses mostly on the index investing. It walks you through the basics of the efficient market hypothesis and why the indexing is so effective. In the last chapter you will also get some suggestions of possible indexes and EFTs to invest on. The chapter on diversifying looks into reducing the risk through time and geography. Age long advice still holds true – do not put all your eggs in the same basket. Index investing offers you an easy way to diversify with low costs. And as an investor you should love the low costs. Authors also outline the most common mistakes made by the investors. The chapter about avoiding blunders lists things like overconfidence, going along with the crowd and trying to time the market. We are all humans and therefore make mistakes. But by knowing the common ones gives you a change to pull ahead. “The Elements of Investing” is really easy and fast to read. As one anonymous commenter in the web put it: ”This book could be a summary of Malkiel’s previous books”. This is a book I would happily suggest to anyone new to investing. However even though the book is fairly basic, it can surprise you. The idea behind the dollar cost averaging is to diversify in time aiming to buy more when the stocks are down and to buy less when the stocks are up. I have read about the concept several times before, but as usual had not really understood what it means. The book did a magnificent job explaining it to me through an illustrative case (p. 63) in the chapter about diversifying. You aim to save and invest 1000€ per year for 5 years. Would you prefer volatile market or steadily rising market? Intuitively many of us would prefer the rising market. In the end the market is 40% up from where you started! That must be good, right? In this case study the person who bought shares from the volatile market ended up with 60.48 shares worth 6 048 € (60.48 x 100€). The one who bought the shares from the rising market bought 42.25 shares worth 5 915€. That is a total of 14.5 % more in earnings. Just like cars, you would like to buy stocks on sale. Volatile market gives you a chance to do this. This is something most of the people do not understand. Whatever we might think about it, this is how the game is played. And if you understand it, you are already a step ahead of most of the players. This is the most important learning from ”The Elements of Investing” for me. The book “The Elements of Investing” is available for example from Amazon.com and from Amazon.co.uk . What can you get when you mix psychology and personal finance? Ramit Sethi has been a great inspiration for me. He has found his own special niche in personal finance literature by focusing on psychology behind the money, big wins and earning more. The name of the book is controversial for many reasons. It easily makes people “judge the book by its cover” without actually ever reading it. I encountered this often when I suggested Ramit’s website to others: “It must be a scam!”. This is true with many business books, but not all of them. I claim that “I Will Teach You To Be Rich” is pure gold. While reading the book, I jotted down five reasons that make it so special for me. Ramit’s background is in psychology – This has lead to a refreshing approach to money and personal finance. It is one thing to give advice and a completely different thing if people act on that advice. The book teaches you how to use psychology to force you to save. Ramit often uses budgeting as an example of such useless advice that people do not act on. Focus on automation – People are by default lazy. This is why traditional personal finance advice is not that effective. The book helps you to build an automated system to manage your money. After you set it up you can take a step back and relax. It does the work for you. The idea about conscious spending – It is okay to spend money on things you love as long as you have achieved your goals in saving and investing. Less talking, more action – Ramit stresses the importance of taking action. Many people just read and read but never get anything done. 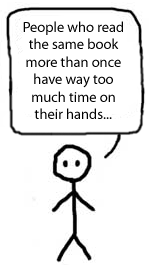 Analysis paralysis is a serious disease in the information society. The book is divided into six week long chapters with action points after each one of them. They follow each other in sensible order starting from the basics and advancing to more difficult aspects of personal finance. Ramit’s book is not for everyone. The title of the book could scare you off. You either love or hate the carefree and cocky writing style. He is clearly focused on younger audience and is not afraid to admit it. And finally as he offers very specific advice, some of it could be useless for you. Personally, there are only few other business books that I could recommend more. This book, if any, has the potential of making you rich. 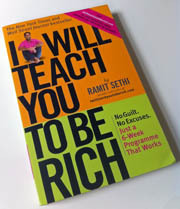 You can have a look at Ramit’s I Will Teach You To Be Rich blog for free here. The book “I Will Teach You To Be Rich” is available for example from Amazon.com and Amazon.co.uk .